Every employee would expect a career enhancement in his job. There are many factors that affect employee careers. 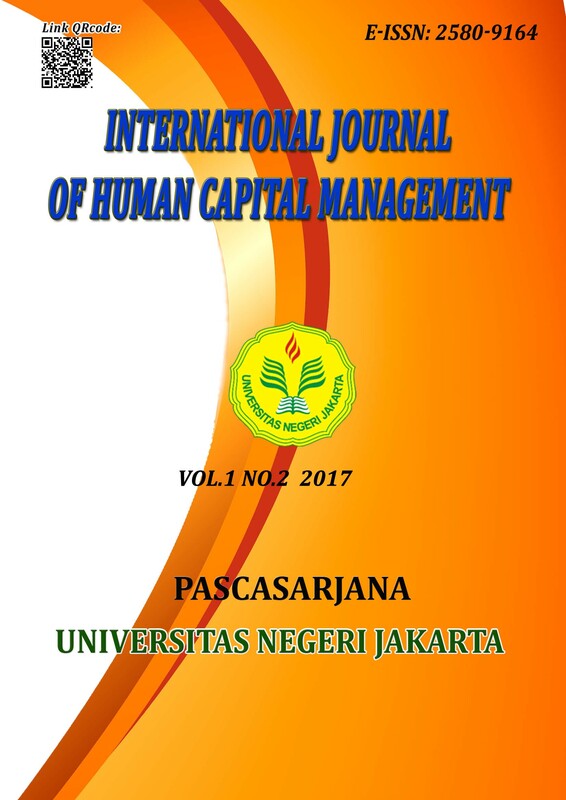 This study aims to examine the influence of Competence, Transformational Leadership, Social Capital and Performance to Career Employees of Mercu Buana University, is a quantitative research with Path Analysis method. This research was conducted at Mercu Buana University in West Jakarta area, the research sample was 185 employees using Simple Random Sampling method. Associated with the performance of employees, the results showed that there is an influence of competence on performance, there is the influence of transformational leadership on performance, there is the influence of social capital on performance. In the case of employee career, the result of research indicate that there is influence of competence to career of employee, there is influence of employee career performance, there is influence of social capital to career of employee. The result of path analysis gives a structural equation Y = 0,258X1 + 0,213X2 + 0,229X3 + 0,416X4 + 0,36. Thus it can be explained that the most direct influence on Employee Career is a Performance variable of 41.6%, while the Competence variable of 25.8% and social capital variable of 22.9%.